Is Killing Insurgent Leaders an Indicator of Progress? May 8, 2017 6:27 pm / 3 Comments on Is Killing Insurgent Leaders an Indicator of Progress? An article in the New York Times announced the death of Abdul Hasib. Hasib was the commander of the faction of ISIS operating in Afghanistan. In addition to the death of Hasib, the article enumerated several tactical achievements over the last month. Specifically, 94 ISIS fighters killed when the US dropped its largest non-nuclear ordnance on a cave network, 35 additional Islamic State fighters were killed in a raid on April 27th, and the significant number of fighters killed or captured has enabled Afghan government forces to re-take half of the districts previously controlled by ISIS militants. All of these achievements are the product of the dedicated men and women of America’s armed forces, who are undoubtedly working incredibly hard to achieve these impressive victories. Yet we must ask the hard question – are we getting closer to victory? Killing leaders of extremist organizations, such as ISIS, is certainly justifiable, but is it progress? Andrew Bacevich would disagree with the above assessment regarding the effectiveness of killing insurgent leaders. His position is not without merit, we have been killing Taliban leaders for 15 years and the insurgency stubbornly remains. In Iraq we killed Zarqawi, and Abu Bakr al Baghdadi, the leader of ISIS, rose to prominence. To Bacevich, it is a strategic blunder to focus on the destruction of leaders. Bacevich asserts that the American penchant for removing leaders is a substitute for developing strategies to address the intractable problems that lie beneath the surface, a phenomenon of which he accused American leaders in Kosovo of. By implying that killing or capturing leaders will resolve the issue, American leaders avoid the hard work of developing creative solutions to problems. In my assessment, there is a balance between short term tactical gains and long term strategy. Killing leaders is a short-term tactical success, but that does not imply that it replaces the need for a long-term strategy. As leaders are killed, organizations adapt by replacing the necessary personnel or modifying the distribution of tasks and responsibilities. By targeting leaders relentlessly, the US military is constantly disrupting the processes and decision-making of the insurgent groups. Even if the conditions that enable insurgency persist, the pressure applied by such actions denies these groups the ability to overtly recruit, plan operations, or control territory. I see no reason to perceive the targeting of ISIS leaders as a distraction from the hard work of developing legitimate institutions, training Afghan National Security Forces, or fostering economic development – all actions designed to address the conditions that enable insurgency. These things can work together, and they must if we are to be successful. On September 30, 1938, Neville Chamberlain returned from the Munich Conference to announce, “peace for our time.” The British Prime Minister cooperated with the German Chancellor, Adolf Hitler, to secure a compromise regarding the Czechoslovakian question, namely the German seizure of the Sudetenland. The illusion of peace was shattered roughly a year later, when German forces invaded Poland and World War II began in earnest. Chamberlain’s pronouncement, while celebrated as a diplomatic success at the time, is viewed now as naïve. It’s easy, in hindsight, to criticize Chamberlain’s penchant for diplomacy rather than bellicosity. If Chamberlain had refused to appease Hitler, we might trace the start of World War II to the Munich conference. Pundits and academics would predictably argue over whether Chamberlain or Hitler were more responsible for the immense human carnage that the war entailed, or we might discuss how Chamberlain’s willingness to stand against the would-be conqueror of Europe galvanized the allies and brought a swift conclusion to what could have been a much larger conflict. These counterfactuals are a useful thought experiment because they reveal the complicated issues surrounding the balance of hard and soft power. The debate is not settled, it continues today in the Middle East. Currently, there is significant disagreement over the role of the United States in the world – particularly in this contested region. This debate brings about fundamental questions of America’s relationship with our allies, our interests, and the moral and policy implications of the use of force. How the United States leverages hard and soft power in defense of its allies and in pursuit of its interests has profound effects for the military establishment and the American people. In this essay, I juxtapose two profoundly differing logics of hard power with regard to the Middle East and discuss them in light of recent American operations in Afghanistan. I draw on Andrew Bacevich’s appraisal of the American agenda in the Middle East, America’s War for the Greater Middle East, Eliot Cohen’s The Big Stick: The Limits of Soft Power and the Necessity of Military Force, Seth Jones’s In The Graveyard of Empires: America’s War in Afghanistan, and several essays from Our Latest Longest War edited by Aaron O’Connell. Bacevich’s work is a comprehensive review of the last 40 years of American engagement in the Middle East. His account begins with the Carter administration and the general malaise that would later be characterized by Ronald Reagan as a “crisis of confidence.” He guides the reader through America’s numerous engagements to arrive at the conclusion that intervention has exacerbated the existing problems of the region. The rise of OPEC, events in Iran, and American dependence on oil led Carter to violate his personal disapprobation toward military intervention by announcing the Carter Doctrine, which declared the Persian Gulf region an area of vital interest to the United States and consequently increased the likelihood of armed intervention in a turbulent, and poorly understood, region. Bacevich argues that this moment initiated a series of events that have led the United States into multiple quagmires and ill-advised interventions to disastrous effect. Throughout Bacevich’s narrative there are several recurring themes that are relevant to informing an understanding of hard power dynamics and the considerations inherent in the use of force. He argues that American leaders simply fail to understand the cultural and societal factors that complicate America’s narrative of liberation. Additionally, this failure to understand the battlefield on which we contend is exacerbated by an assumption that technological superiority and military might are not only suitable tools to address the problem, but that military action is an appropriate method of spreading American liberal democratic values. Finally, Bacevich provides a stinging critique on the lack of accountability in American engagement abroad. It is this lack of accountability, at many levels, that has allowed the problems of the Middle East to fester and poorly conceived strategies to continue unabated. Bacevich spares no leader from the sting of his pen. To Bacevich, it is the failure of leaders to understand the war upon which they are embarking that has led to continuous policy debacles. Notably, he describes American officers who possess a penchant for rudimentary psychologizing of enemy leaders rather than genuine strategic analysis. He describes General Wesley Clark in Kosovo and his pursuit of Milosevic. This personalization of the conflict contributes to a strategic myopia that leaves American leaders with few strategic options due to inadequate understanding. It is an act of intellectual laziness to simplify extraordinarily complex ethnic, tribal, religious, or national conflicts to fit a concise narrative of good versus evil. The campaigns in the Balkans demonstrate the effects of such laziness and oversimplification, and the willingness of many Bosnians and Kosovars to join the ranks of ISIS demonstrates that the United States did not understand the underlying causes of that conflict. The author contends that this habit of American leaders is exacerbated by the Revolution of Military Affairs (RMA) and the over-reliance on technological superiority. Cohen takes a more measured tone when assessing leadership failures, both in government and the military. While he certainly doesn’t presume that there haven’t been disastrous failures of leadership, in fact I believe he would agree with much of Bacevich’s condemnation, he acknowledges the inherent complexity of leading large organizations. First, he acknowledges that not all talented officers are talented in the same way. Many of the senior leaders in our military were trained to fight Soviets in the Fulda Gap, yet they have made their careers improvising in the Middle East. This presents a sharp learning curve, and not every officer will make the cut. Cohen cites Secretary Gates firing of General David McKiernan as an example of a senior civilian leader recognizing when a good officer may not be the right officer, and he acted to remove him. Cohen also emphasizes the diversity of tasks that the United States military is engaged in. Leaders in the military are focused not just on the achievement of a concrete objective, but building a force that is simultaneously capable of deterring great powers, fighting small wars, and achieving abstract objectives such as “enhancing legitimacy” or “creating order.” The challenge is not creating a generation of officers that are all capable of doing everything, but selecting officers with the right skills for the right campaign. This presents challenges to our bureaucratic military structure, but these are challenges that Cohen believes can be overcome. Bacevich’s condemnation of Wesley Clark, while seemingly valid, should be tempered by an understanding of the failures within the military that can reasonably be corrected. To do otherwise is to be guilty of the same myopia that Bacevich accuses senior leaders of possessing. The myopia of defeatism that presumes American fecklessness can be as intellectually prohibitive, and dangerous, as the myopia of unabashed American exceptionalism. Seth Jones weighs in on this issue of senior leader failures, and delivers a convincing critique of the shortsightedness of various Bush administration officials and military officers with regard to the Afghanistan campaign. Much the way General Clark “psychologized” Slobodan Milosevic and developed an overly simplified conception of how to define victory in Kosovo, Rumsfeld and Franks believed they could rapidly overthrow the Taliban and turn their attention to Iraq. The initial action against the Taliban, while devastating, failed to prevent the escape of a vast number of fighters to Pakistan, and the subsequent failure to capitalize on the rapid overthrow with a coherent strategy for securing the peace and advancing good governance, created the conditions that encouraged the insurgency to metastasize over the course of several years of neglect. Arguably, a more comprehensive analysis of the enemy, the environment, and the limits of American power may have encouraged a different strategy. Jones points out how senior leaders who were effective, such as Zalmay Khalilzad, were quickly transferred to Iraq to assist with operations there. In addition to the failures of leadership, the role of technology has exacerbated strategic failures by providing an illusion of a neat and tidy response to complex issues. Technology can give an army a decisive advantage, but technological superiority is no replacement for strategy and an over-reliance on technology can distort the challenges that American military leaders must eventually face. Nowhere is this clearer than in Bacevich’s recollection of General Tommy Franks and Secretary Rumsfeld’s insistence on a light footprint for the Afghanistan campaign. Franks and Rumsfeld presumed that the Soviets failed in Afghanistan because of their heavy-handedness in dealing with the Afghans. To avoid a similar fate, Franks envisioned a small force that could combine American air power with Afghan courage. The early results were a demonstration of American military might and seemed to confirm the estimates of the RMA believers. The dedication to the small footprint persisted and would not be abandoned until after a thriving insurgency metastasized in 2006. The assumption of superiority presumes to develop a strategy of engagement contingent on perceived American strengths rather than the objectives necessary for success. The faith in technology and indirect methods, namely employing airpower and small teams of special operators embedded with indigenous forces, receives criticism from Eliot Cohen as well. He writes that the initial operation in Afghanistan, while a laudable display of military power, ultimately failed to annihilate the enemy. It was this commitment to the “small footprint” that led General Franks to shy away from larger troop deployments. Cohen argues that with a larger force the US could have trapped Bin Laden and the remainder of his forces in the mountains and destroyed them. This may not have prevented the insurgency, but it would have dealt a devastating blow. While both Bacevich and Jones convey the failure of General Franks to perceive the situation for what it was, opting for a “small footprint” was undoubtedly bad judgment, Cohen explores the logic more deeply. The aversion to large ground forces was not simply a condemnation of the futility of Soviet armored forces chasing Afghan guerrillas through severely restricted terrain, but also built on an assessment that the Afghan people would not tolerate a western presence. This was poor judgment, but the logic was based on historic understanding of Afghan-British relations, and the Afghan-Soviet conflict, not just on failed analysis of Soviet tactics. The failure, in Cohen’s view, was that American planners didn’t understand the damage inflicted on the Afghan psyche in the decade of civil war that followed the Afghan Soviet conflict. Had American planners better analyzed the situation, they may have realized that the Afghan people were more tolerant of American intervention than of the persistent chaos of the last decade. Beyond his criticism of Franks’ commitment to avoiding Soviet mistakes, Jones also points out that “counterinsurgency” for the first several years of the campaign was a dirty word not to be spoken. The American military did not perceive itself as peacekeeping. The military was there to capture or kill Taliban, not to secure population centers. Jones presents evidence that this debate, mostly between State Department officials who desired a larger peacekeeping effort, and the Pentagon who was reluctant to engage in any form of “nation building,” was won early on by the pentagon. Aaron O’Connell provides another take on this argument. While Bacevich and Cohen differ over the intellectual origins of the commitment to the “small footprint” and Jones concludes that this commitment enabled the insurgency, O’Connell concludes that culture has been the decisive factor. He cites the Pashto code of honor known as Pashtunwali that results in irreconcilable differences between the Americans and Afghans. He contributes the failure in Afghanistan to a failure of American leaders to recognize these cultural differences and to allow a culturally appropriate strategy to emerge. Whereas the other authors focus on mistakes actively made by American leaders, O’Connell focuses on flawed ways of thinking that permeate all actions from Washington, to Kabul, to the interactions between American soldiers and Afghan villagers. Writing in chapter two of Our Latest Longest War, LTC Colin Jackson addresses the “small footprint” indirectly by attacking the broader theme of strategies that do not address the situation as it exists on the ground. He specifically points to American strategists failing to recognize the cultural divide between urban and rural Afghans, echoing much of the argument of Seth Jones discussing the origins of Afghan governance. Jones asserts that Afghan governance has always had a different meaning in Kabul than in the rural areas, and that successful central governance historically managed an informal agreement with tribal leaders to maintain peace. The belief in absolute American superiority, by way of military power and technology, provokes a re-evaluation of the objectives that can be achieved by force of arms. Bacevich believes that this false sense of superiority, hubris, led to the eventual formulation of the Bush Doctrine, which states that a regime that supports terrorist groups warrants American intervention. The author is very critical of the Bush administration’s assumption that distasteful regimes could be removed, and replaced with leaders friendly to Washington. This became known as the “Freedom Agenda” and the logic inherent was that the United States could prevent another 9-11 by eradicating the conditions wherein terrorism flourished. The author points to the effects of overt military engagement, namely the night raids and rounding up of military aged men that accompanied the period of de-Baathification, and the subsequent prisoner abuse scandal at Abu Ghraib. These events in Iraq demonstrate the limits of American understanding. These actions had disastrous effects on the campaign. The narrative of American deviance was confirmed by the grotesque sexual and physical abuses at Abu Ghraib, and the constant intrusions on the private lives of Iraqi citizens stirred up popular discontent for the American occupation and encouraged a tacit, if not active, support of the fledgling insurgency. There is merit to the argument that an invasion of Iraq designed to build a westward looking democratic regime was shortsighted. The author further expresses his disapproval for the Bush agenda by citing the Nuremberg Tribunal and a declaration that “a war of aggression is the supreme international crime.” On this point, I believe there is room for disagreement. International law prescribes convention and norms of state interaction, but post World War II conventions presume justified war as solely a matter of defense. Whether one agrees with the Bush administration, the threats to the United States have shifted dramatically, and the possibility of preventive or pre-emptive war, while inconsistent with current norms of international law, is not without precedent and is supported by Just War theorists as a potentially moral and justified action. Cohen agrees with much of Bacevich’s critique of the hubristic shortsightedness. The events at Abu Ghraib and the heavy-handedness of the Iraq campaign undoubtedly led to an intense nationalist backlash. These events fueled the insurgency by, as Bacevich writes, confirming the narrative of American deviance. Cohen condemns these actions quite strongly. He points to these abuses as an indicator of American priorities. His argument is that if leaders better understood the environment and the challenges of Iraq, the significance of detainee operations and the subsequent intelligence collection would have been a much higher priority. The soldiers who were responsible for the egregious crimes against Iraqi detainees indicate the level of neglect on the part of American leaders to this incredibly important aspect of counterinsurgency warfare. While Bacevich annotates these failures as just one more reason why the United States should not be engaged, Cohen remains steadfast in his logic of hard power. Cohen argues for the necessity of adaptation, and he insists that leaders understand the war they are fighting is not necessarily the war they want to fight. While Bacevich sees intractable failure and misaligned interests, Cohen views an Army that needed to better understand the war it was engaged in, and to better align resources to prosecute that war more effectively. These atrocities are not a sign of an Army incapable of executing a competent counterinsurgency, they are an example of leaders who failed to adapt to the war that needed to be won and soldiers unmoored from a baseline of decency. Bacevich and Cohen offer competing views of Bush’s “Freedom Agenda.” O’Connell offers a different logic entirely. He argues that the “Freedom Agenda” in Afghanistan was ineffective because of historic and cultural differences. Centuries of internecine tribal conflict had left the Afghan people “more distrustful of state power than even the most hard-line of American libertarians, and as afraid of the police as African Americans in the Jim Crow South.” Afghan culture accepts the idea of constant resistance against authority, and the previous attempts to exert control led to violence and corruption that were unacceptable to most Afghans. For this reason, O’Connell argues that the very concept of extending freedom or universal western values to Afghanistan is incompatible with reality. For these concepts to be employed they must first be desired. To be desired, there must be some precedent or semblance of a Rousseauian social contract. O’Connell takes his logic too far. He draws conclusions from patterns of American behavior that may comport well with Bacevich but I find unsatisfying. Similar to Bacevich, he excoriates the logic of expanding western values as a vital interest. He writes, “Every American war fought since the Cold War has been framed in one way or another as a defense of these Western values – values that shouldn’t need defending if they were actually universal.” I take issue with this statement. O’Connell is implying a non-universality to human nature that enables Americans to simplify our strategic calculus. By resolving that human rights, participatory governance, and rule of law are distinctly western we absolve ourselves of the responsibility to defend those values. History is replete with examples of violence being used as a form of social control and I disagree with the assumption that people existing under tyranny find such a situation more acceptable than participatory government. It is worthwhile to debate the limits of a uniquely American interpretation of such rights and the extent to which we will encourage their promulgation, but I find it unacceptable to ignore the fact that violent actors will suppress the genuine desires of a people to be free. Furthermore, this line of reasoning presumes that western notions of freedom are our natural state of existence and a permanent fixture of our civilization. Nothing could be further from the truth. Americans shed blood to create a free society, and to presume its nature permanent, secure, and unaffected by the spread of contrary world views is an opinion only permissible in the most affluent of nations. Perhaps Bacevich’s most powerful critique is the theme of an erosion of accountability. The lack of accountability has allowed the problems of the Middle East to persist. Leaders are not held accountable by their constituents because they ask nothing of them. Bacevich argues that this was a conscious effort. The American people were not encouraged to participate in the war effort, to make sacrifices, or to pay an additional tax to fund the war. 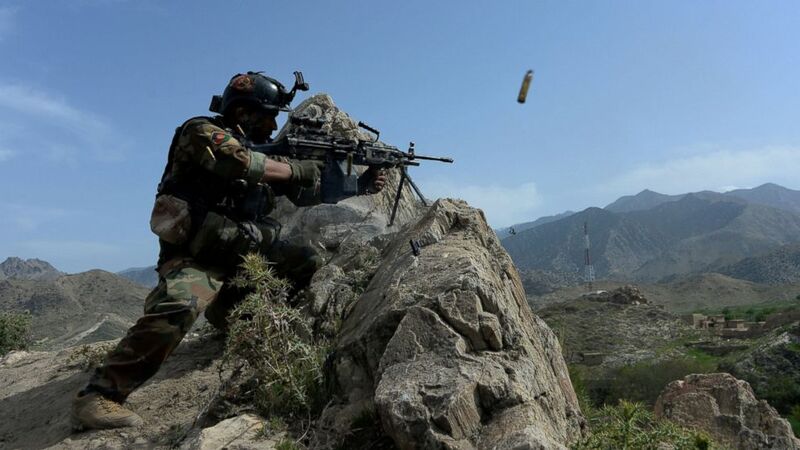 The government sought to insulate the people from the outcomes of the war and this has led to a disconnection of the people from the military apparatus that fights on their behalf. This same theme of avoiding accountability is seen in the various engagements in the Middle East. When the Vincennes shot an Iranian airliner out of the sky, the Captain of the ship was commended for doing his duty. When the Obama administration determined to assist Libyan rebels at the expense of Qaddafi, Washington resorted to partisan bickering rather than a genuine analysis of what went wrong. To Bacevich, these occurrences are indicators of the cultural decay that have enabled the continuation of America’s war in the Middle East. Cohen’s focus on accountability resides at the level of leaders and is not as sweeping as Bacevich. Cohen writes, “The greatest fault of both Presidents Bush and Obama in Iraq and Afghanistan was their failure to repeatedly explain to the American people why their country was waging these wars.” He articulates, as one of the principles of his hard power logic, that “a president can launch a war; to win it, he or she must sustain congressional and popular support.” The principle of accountability, as both authors point out, is critical to sustaining a war effort. For Bacevich, it is this lack of accountability that has allowed poor decisions to be made without consequence. For Cohen, lack of accountability has led to political fragmentation at home and an inability to mobilize the necessary arms of government to meet the challenges that arise. Historically, when American presidents effectively communicate the necessary use of force to the American people, there has been support and cohesive action. Leaders such as Roosevelt, John F. Kennedy, and Ronald Reagan, though vastly different in political orientation, successfully maintained public support by communicating the necessity of hard power. Bacevich’s logic of force in the Middle East is essentially that the United States has proven incompetent and ineffective. To Bacevich, a continuation of current policy or any policy that justifies continued intervention under pretense of “democratization” is inherently flawed. He no longer believes the Middle East to be a vital interest to the United States because greater oil reserves are available elsewhere. The Middle East has damaged American prestige, cost billions of taxpayer dollars, and thousands of American lives. While these points are valid, and there are certainly many failures to justify such a perspective. Bacevich neglects to entertain the counterfactuals. Inaction can be as perilous as action, and just as we will never know how Neville Chamberlain would be remembered had he refused to negotiate with Adolf Hitler, we will never fully recognize the perils of inaction until it is too late. The critique of the non-interventionist can be as fraught with hubristic reasoning as the bluster of the most ardent interventionist. There are no universal maxims in war or foreign relations. Each crisis must be evaluated on its own merits. Patterns of failure must be identified, but the response cannot be an alteration of our values or a lessening of our commitment to maintain a global order that enables many millions of human beings to thrive. Failures of American strategy, of which there are many, must be recognized as challenges to be overcome not as insurmountable flaws of American character. Andrew J. Bacevich, America’s War for the Greater Middle East: A Military History. Random House, 2016. 196. Eliot Cohen, The Big Stick: The Limits of Soft Power and the Necessity of Military Force. Basic Books, 2016. 198. Seth Jones, In the Graveyard of Empires: America’s War in Afghanistan. New York: W.W. Norton & Company, 2010. 95-101. 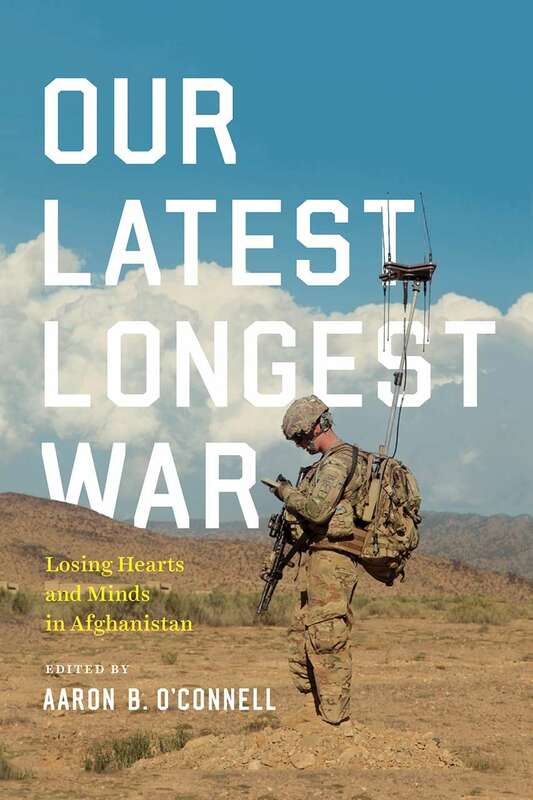 Ronald E. Neumann, Our Latest Longest War: Losing Hearts and Minds in Afghanistan. Edited by Aaron O’Connell. Chicago: University of Chicago Press, 2017. 42. Andrew J. Bacevich, America’s War for the Greater Middle East: A Military History, 226. Eliot Cohen, The Big Stick: The Limits of Soft Power and the Necessity of Military Force, 50. Seth Jones, In the Graveyard of Empires: America’s War in Afghanistan, 112. Aaron O’Connell, Our Latest Longest War: Losing Hearts and Minds in Afghanistan, 30-33. Colin Jackson, Our Latest Longest War: Losing Hearts and Minds in Afghanistan, 72. Seth Jones, In the Graveyard of Empires: America’s War in Afghanistan, 10-13. Andrew J. Bacevich, America’s War for the Greater Middle East: A Military History, 221. Eliot Cohen, The Big Stick: The Limits of Soft Power and the Necessity of Military Force, 42. Aaron O’Connell, Our Latest Longest War: Losing Hearts and Minds in Afghanistan, 22. Andrew J. Bacevich, America’s War for the Greater Middle East: A Military History, 221-4. Eliot Cohen, The Big Stick: The Limits of Soft Power and the Necessity of Military Force, 222. In his most recent book, The Big Stick: The Limits of Soft Power and the Necessity of Military Force, Eliot Cohen frames this concept of power to provide a logic for its implementation. Power, the ability to make things happen, is not distinctly hard nor soft. Violence does not define power. The art of statecraft is to apply the various tools of hard and soft power in a manner that is consistent with our values, directed toward our interests, and appropriate to the situation. Cohen provides an understanding the necessity of hard power, not as a replacement of diplomacy and economic power, but as its guarantor. He argues that the United States is uniquely situated to influence the course of world events, and to retreat from engagement with the world is to indulge the fallacy that Americans are not affected by what happens beyond our shores. He contends that the United States has been a global power since its inception, and seeking to disengage will not result in a more peaceful world. I perceive this question not between war and peace, but between order and chaos. The United States, must ensure that our allies and adversaries recognize that our words carry the force of American military strength. Carrying a “big stick” reassures those who mean us well, deters those who mean us harm, and leaves no question as to where the United States stands. Cohen’s work addresses the fundamental questions of why the United States must carry this burden, what we are to make of the last 15 years of war, what are the strengths and weaknesses of the United States, how do China, Jihadis, dangerous states such as Russia and North Korea, and ungoverned spaces impact our strategic calculus. He concludes his work with a chapter that articulates his logic of hard power that provides useful guidelines to strategists and policymakers. The United States cannot insulate itself from world disorder for many reasons, and not least because, in some measure, it is necessarily the cause of it. American beliefs about political equality, rights (to include rights of women), religious freedom, and civil liberties, including the right to property, are a menace in many places, often without America’s knowing or wishing it. The United States bears a unique burden because American norms, values, and institutions make the United States a target for states and non-state actors who mean us harm. While he contends that the United States cannot impose its values and institutions on the people of other nations, it is hard to imagine the United States flourishing in a world that is hostile to those values. The world is more global and interconnected than any time in history, for this reason values and norms will be defined by dominant actors, and failure to defend those norms and values will have a detrimental effect on the freedoms of people around the world. Cohen does not contend that armed force alone is capable of mitigating or eliminating the challenges posed by these global problems, but he does contend that if American values are not backed by the force of arms the world will become increasingly disordered. In an environment of disorder, the weak and vulnerable will be at the mercy of those most willing to use violence. It is not an argument that the United States will destroy evil, rather it is the argument that the United States, by wielding a Big Stick, can impose a sense of order that reduces the influence and capacity of those intent on violence and ensures that American values of civil liberties, economic freedom, and rule of law are promulgated – not restricted further. The United States has an interest in maintaining these freedoms for ourselves and expanding them abroad to create an environment where freedom is not threatened, but thrives. In the final chapter, Cohen describes a logic of hard power governed by principles. He is critical of the overly simplistic conceptions of grand strategy. He writes that the concept of grand strategy creates the expectation that the intractable problems present in foreign policy can be woven into a comprehensive vision. This is an alluring ideal that places greater emphasis on the development of brilliant ideas than on the practical implementation of such ideas. He observes, “the very idea of grand strategy, then, runs on the rocks when it confronts the power of accident, contingency, and randomness that pervade human affairs.” For Cohen, strategy is not defined by the rigidity of a definitive operating concept, but by the art of matching the available means to the strategic ends. This is fundamentally a balance that requires strategic judgment. To this end, he advises a simplification of the national security documents produced by the Department of Defense and the White House as well as a defense funding mechanism based off of a percentage of GDP. Whereas the current system produces regular documents at (supposedly) regular intervals to explain strategy and review military capabilities, Cohen advises documents to be ordered when needed, at the discretion of the president. This would allow the national security decision-making apparatus to parallel the uncertainty of the operational environment, and would ensure that when a strategic appraisal is requested, it is requested with a vision of interests identified by the Commander-in-Chief. Beyond the need to streamline funding and strategic analysis, American decision-makers also need a set of principles upon which to develop strategies. Cohen, is not fond of overly simplistic models or set procedures, so he advances a set of principles to applied with prudence. Understand your war for what it is, not what you wish it to be. This principle is apparent in every war the United States has ever fought. American leaders have frequently sought to characterize war as conforming to a template. There is a constant reluctance to engage with the difficult problems of protracted irregular wars, consistent with the theme of this website, we must understand these wars not as the exception, but as the rule. Powerful countries desire conflict that conforms to the expectation that power, as perceived by that nation, will be decisive. Yet power is not defined as a preponderance of strength but as the ability to make things happen. The weak actor has no incentive to conform to American strengths, to a contest on our terms. Rather, the non-state actor, the insurgent (or freedom fighter) will contest the powerful at the time and place, and in the manner, which most effectively mitigates the advantage possessed by the powerful actor. Planning is important; being able to adapt is more important. America’s experience over the last 15 years has confirmed this principle. It is always essential to have a plan for engagement, but we must recognize that the adversary has agency, there will be unforeseen environmental factors, and domestic politics will intervene to frustrate progress. Military and civilian decision-makers must be prepared for this eventuality, and they must recognize that they will be called on to be creative problem solvers for the duration of any conflict. You will prefer to go short, but prepare to go long. To prepare for a quick and easy campaign is to prepare for failure. The early intervention in Afghanistan is an example of this. When expectations are created in the minds of leaders, and the American public, failure to meet those expectations elicits a sense of crisis and risks losing support for the war. Leaders must prepare the American people for uncertainty, and the interests at stake must be justifiable to the risk imposed by the uncertainty that lies ahead. While engaging in today’s fight, prepare for tomorrow’s challenge. War is a policy laboratory for military decision-makers. The lessons of each conflict are different, and failing to learn, adapt, and prepare for the next challenge is to exhibit the intellectual laziness that will invite future destruction. The conclusion of the First World War provides an example of two distinct armies and their different cultures of learning and preparation. The Germans learned that to allow a war to become static was to surrender the initiative. The Germans streamlined decision-making by granting more autonomy at the lowest levels, and developed a tactical framework built on maneuver warfare and combined arms. The French, constructed the Maginot line, thus preparing the French army not for tomorrow’s challenge – but to fight today’s war again. This principle should inculcate in military and civilian leaders an understanding of the need for constant innovation. Adroit strategy matters; perseverance usually matters more. Cohen cites President Bush’s commitment to the Iraq surge, against the judgment of his military advisers, as one of Bush’s finest moments. Cohen’s argument in favor of this principle coincides with Clausewitz’ observation that a strong mind is preferable to a great mind. The concept being that strength of will is more necessary in war than brilliance. I can think of no better historical example of perseverance than the Romans in the Second Punic War. After suffering several humiliating defeats at the hands of the Hannibal, Scipio led a consular army to Spain to attack his rear. The Romans suffered tremendous losses, yet refused to yield. Perseverance was the hallmark of Roman strategy, and this is a profound reminder of the continuity of certain transcendent principles of the logic of force. A president can launch a war; to win it, he or she must sustain congressional and popular support. This principle echoes the sentiments of Bacevich. The criticism that the American people were not asked to participate or sacrifice during the last 15 years of war. This lack of participation is anathema to democracy, and a war-time president can never forget that he or she is the leader of a democratic people. Failure to account for popular support, as well as the support of the other branches of government, dooms a war to failure. Vietnam serves as a case study in this. Despite tactical successes, and General Abrams embrace of a counterinsurgency strategy that yielded promising results, the president lost the support of the American people and the war was unwinnable. Cohen’s conclusion is instructive, “A checklist of criteria for using hard power is pointless. Rather, what is needed is a prudent set of reminders to guide American leaders who have concluded, however reluctantly, that violence is the least bad policy choice.” Principles that guide judgment, not strategic models that simplify decision-making, should be the focus of strategy. National security decisions are not a contemplation of good and bad options, they are frequently framed as a choice between bad and worse. Eliot Cohen, The Big Stick: The Limits of Soft Power & the Necessity of Military Force, Basic Books, 2017. 16.